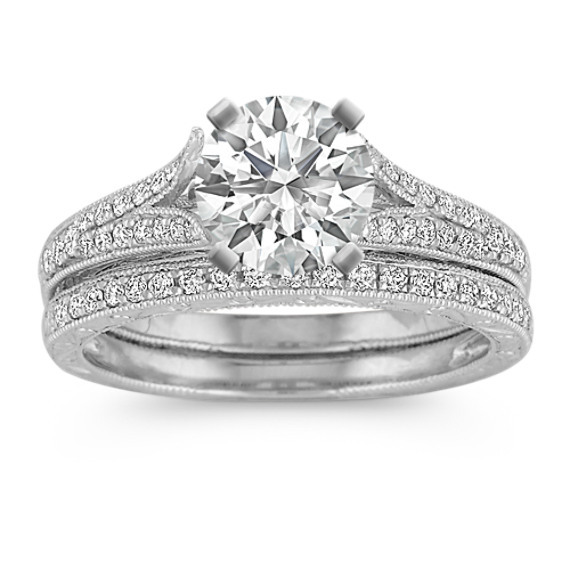 Vintage Cathedral Diamond Wedding Set in Platinum with Pave Setting | Shane Co. This brilliant vintage inspired split shank cathedral engagement ring holds 54 round pavé-set diamonds, at approximately .30 carat total weight. Crafted in supreme quality platinum, the intricate side engraving and milgrain detailing is simply breathtaking. Add the center stone of your choice to complete this eye-catching look.